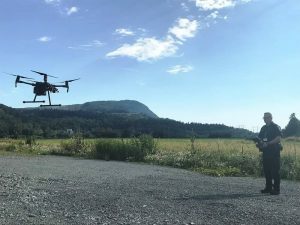 THE Abbotsford Police announced its newest tool on Wednesday – an unmanned aerial vehicle (UAV), also known as a “drone”. The drone, a Matrice 210C Transport Canada Compliant Aircraft, was donated by the Abbotsford Police Foundation. 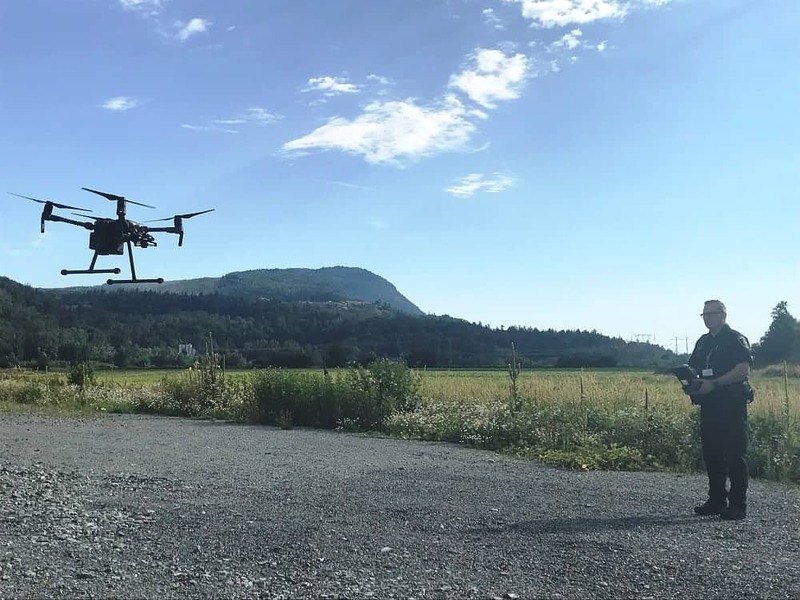 It will be used for aerial photography of serious motor vehicle collisions, outdoor crime scenes, search and rescue, disaster recovery, and for tactical purposes when necessary. The drone may also be used to view fires and assist with natural disaster response and recovery. Currently, the Abbotsford Police’s one UAV pilot is Constable Rob Hryhorczuk, a private pilot who previously flew small fixed-wing aircraft. By this fall, the department anticipates having three officers certified to operate the drone. Training will encompass both ground school and hands-on flight training. “The Foundation is very pleased to supply this innovative tool to the Abbotsford Police Department. We would not have been able to do so without the generous support of our donors,“ said Abbotsford Police Foundation President, Kevin Boonstra. The Abbotsford Police Department expressed its sincerest thanks to the Abbotsford Police Foundation and the community of Abbotsford for their continued generosity and support of APD policing programs. If you would like information about how to become involved with the Abbotsford Police Foundation, visit http://abbypf.ca/. The Matrice 210 C is controlled using a CrystalSky monitor tablet, carries a regular camera and uses forward-looking infrared technology. Camera views can be switched instantly. The Matrice is water resistant and is able to fly in a wide variety of environments. The propeller-driven aircraft weighs only 3.8 kilograms, and can fly for up to 38 minutes at a time over an operating range of seven kilometres.